Dennis Fuller & Associates debuts a new charity campaign in Venice, FL in support of a two year old girl whose mother was killed in a tragic car accident just last month. We are truly honored to help little Bella with our new community involvement program. We honestly believe in neighbors helping neighbors..and are sure many compassionate people in our community will feel the same. 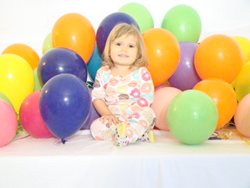 Local insurance agency Dennis Fuller & Associates, through their new community enrichment program serving the greater Venice, FL area, has initiated a fundraiser for a two year old little girl named Bella, whose mother died tragically in a car accident just four days after Christmas. To support this beautiful child who is facing life’s journey without her loving mother, donations may now be made at https://www.gofundme.com/srazzxdw. Riley was only 24 years old, a loving mother who was inspired by the birth of little Isabella to go back to school, where she was studying Radiology. On December 29, 2015, just a half-mile from home, a tragic car accident took her life. Three days later, Bella spoke her first word, “Mommy”, as she called out repeatedly during the night for her mother. Bella celebrated her 2nd birthday at the end of January, the first of a lifetime without her mommy. Riley’s family, devastated by the loss of such a bright, shining light, is raising funds on behalf of Bella’s current and future needs. The agency will promote the campaign for Bella over the course of the next two months, through its social and professional networks, as well as in their monthly electronic and print magazine, which is delivered to thousands of households in the greater Venice area. Our Hometown magazine reserves a full page to showcase the initiative, and may be viewed here: http://www.dennisfullerassociates.com/Our-Hometown-Magazine_39. The caring team at Dennis Fuller & Associates has pledged to donate $10 to Bella for each and every referral they receive for an insurance quote, with no purchase necessary. Readers who would like to offer their support may visit http://www.dennisfullerassociates.com/For-The-Love-of-Bella-_12_community_cause, and are encouraged to share the page with their own network of friends, family, neighbors and coworkers. Contributors may be acknowledged for their donations in Our Hometown magazine. The agency has demonstrated their devotion to their community by just recently launching the master charity program, of which the current campaign is part. “We are fully committed to assisting local people in need. Every two to three months we’ll be selecting a new individual, family or group to receive our support,” promised Fuller. Information regarding past campaigns supported by the agency may be found at http://www.dennisfullerassociates.com/community-cause. More information about Dennis Fuller & Associates and Riley and Bella are available at http://www.dennisfullerassociates.com/ and https://www.gofundme.com/srazzxdw. A full-service insurance agency serving gulf-coast families from offices in Venice, FL, Dennis Fuller is committed to bringing local people an agency which understands their needs. Dennis and his team of dedicated professionals work with carriers to assemble a variety of products and services which will ensure their clients’ peace of mind. From all of the products a typical consumer needs (home, auto, boat, ATV, etc. ), to financial planning services, Dennis Fuller & Associates delivers consistently superior service. Their caring experts may be reached by calling 941-488-0400.